The Clubhouse of The Augusta National Golf Club was once the home of the Berckmans family, which owned and managed the Fruitlands Nursery, an organization dedicated to the gathering and preserving of a number of rare and beautiful plants from all parts of the globe. While the original business is no longer, the spirit of cultivation and dedication to the exceptional remains, as the Masters Tournament, held at this location, brings together the world’s most talented golfers year after year. 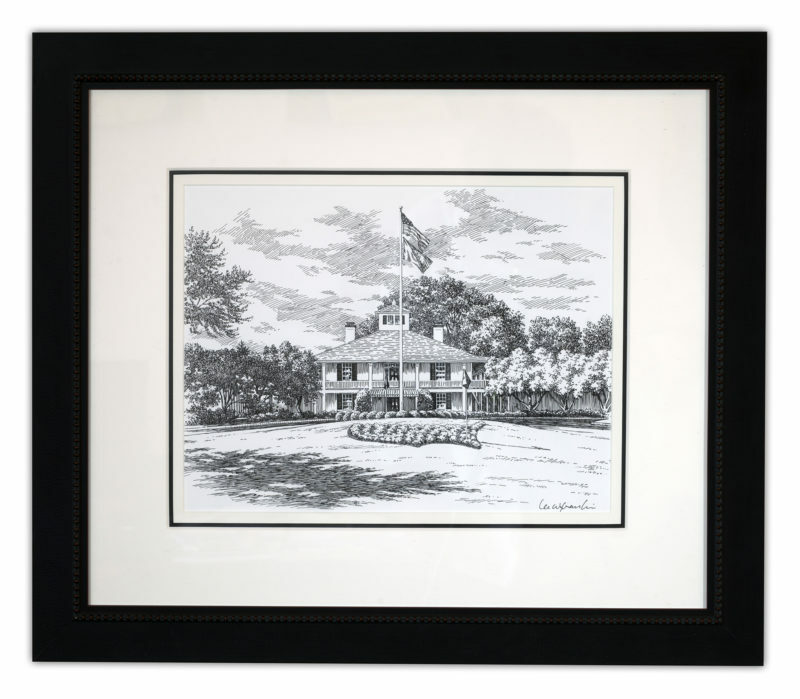 Lee Wybranski captures the unique architecture and understated elegance of the Clubhouse in this Pen & Ink style sketch.